Years pass, and Disney still doesn’t fail to keep its fans on their toes. From fun family movies, to superhero and action-adventure flicks, up until remakes, Disney’s got you covered. There are a lot of Disney movies coming out this year, but I thought we’d focus on the ones practically everybody’s just dying to see. 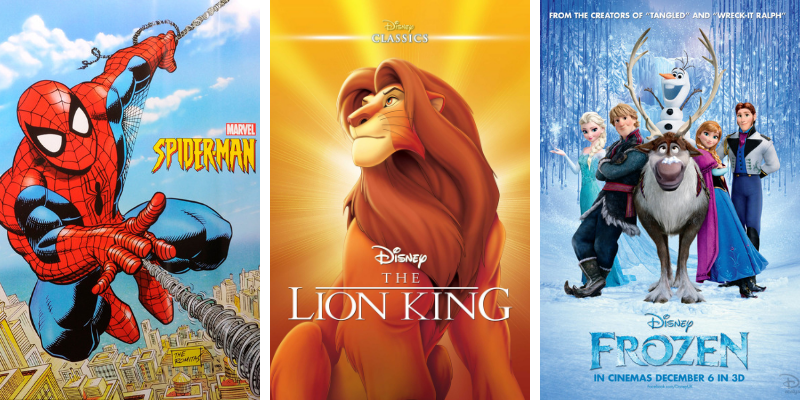 Here’s our pick of top 3 upcoming Disney movies in 2019. Premiere Date: July 5, 2019. Even as I write this segment of the post, I bet Marvel fans across the world are marking — or have already marked — their calendars to book this day off. I honestly won’t be surprised to find them flocking to the theaters to watch Spider Man: Far From Home. And because it’s making headlines in the world of Marvel, of course the latest Spider Man movie would be on this top 3 list of upcoming Disney movies in 2019. Directed by Jon Watts, Spider Man: Far From Home tells the adventures of Peter Parker and his friends as they go on that happy summer vacation to Europe. But things go awry when the Spider Man finds himself saving his friends against a villain, Mysterio, instead. The movie’s looking to be a lineup of the stars too. There’s Jake Gyllenhaal, Tom Holland, Zendaya, and your other favorite celebrities. Yes, I know the sequel to Frozen comes out in the Fall — in Thanksgiving, specifically. Cue the tiny voices screaming that this movie is a long way off. When you see merch of this movie practically everywhere, and when you hear little kids singing the songs and rambling about the movie years after it’s first debut, that pretty much cements how revolutionary the story of Frozen is. You can say what you will, but this movie is without a doubt, highly anticipated. It’s a no brainer why it’s on this list of upcoming Disney movies in 2019. I can now hear the squeals and the excited shrieks of the little kids in the family as Elsa, Anna, Olaf, and the rest of the Frozen gang (no pun intended) come back for another adventure. Of course, film directors, Chris Buck and Jennifer Lee, don’t want to give too much away. But the story revolves around Elsa, Anna, Kristoff, and Olaf venturing into the farthest reaches of the forest to discover ancient mysteries about their kingdom. And you know, there’s trouble stirring somewhere… Probably. It’s more than a star-studded lineup comprised of Beyoncé, James Earl Jones, Donald Glover, and many more. It’s the live-action remake of the Disney movie legend, The Lion King. Need I say why it’s at the top of this upcoming Disney movies in 2019 list? To be fair, it’s also making so much noise because of a lot of critics’ comments. The main gist is that many believe that the film remake isn’t necessary, because why redo or reinvent something that’s already so perfect? This isn’t the place to air my own grievances or hesitation for seeing the show, but I will say that half of me wants to see this live-action version of my favorite Disney movie of all time pull through. The story doesn’t seem keen on deviating away from the original plot, but that remains to be seen. As of the moment, we can all presume it will follow the original storyline. On a better note, perhaps this live-action version and retelling of the classic masterpiece is a way to introduce it to the new generations cropping up. And for those of us (myself included) who have seen it before, it’s a titanic wave of nostalgia I can’t help but relish in. Evidently, this list is limited to a top 3, but there are definitely more movies that would tickle the nostalgic feels endlessly. Movies like Dumbo and Aladdin are coming out too. That’s a blast from the past, right? A new Toy Story is going to hit theaters to, and so is Captain Marvel and the new Star Wars movie. Am I excited about all of them finally making it to the big screen? Of course, I am! Now, it’s time to sit back and stew in our seats just waiting and watching. In the meantime, keep browsing through Scoopfed for more interesting articles.